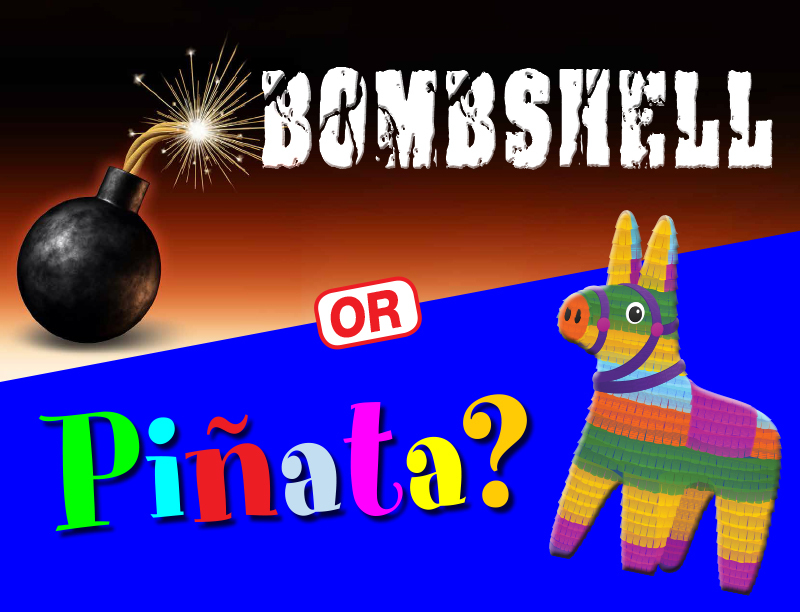 or a Piñata for YOU, stuffed with fantastic bargains ! Designed and crafted with meticulous care in our Vancouver production plant, these plush & cozy stretch garments are warm and superbly comfortable – and quick-drying to boot. IDEAL companions for the cooler seasons ! What's more? Unlike the 'alternative' sold by a major competitor, Polartec ® fleece is totally pill-resistant and lasts for years and years ! Genuine Polartec ® 300 Velour Fleece is very hard to find, and tends to be appallingly expensive. Not so at Taiga ® . Even though design & quality of our garments are absolutely unrivaled, our NEWLY REDUCED Manufacturer-Direct prices are outrageously low and affordable ! ﻿ 'Reg.' Version: 4 zip pockets. 'Sport' Version: 4 zip pockets. 3 zip pockets. Men's & women's. 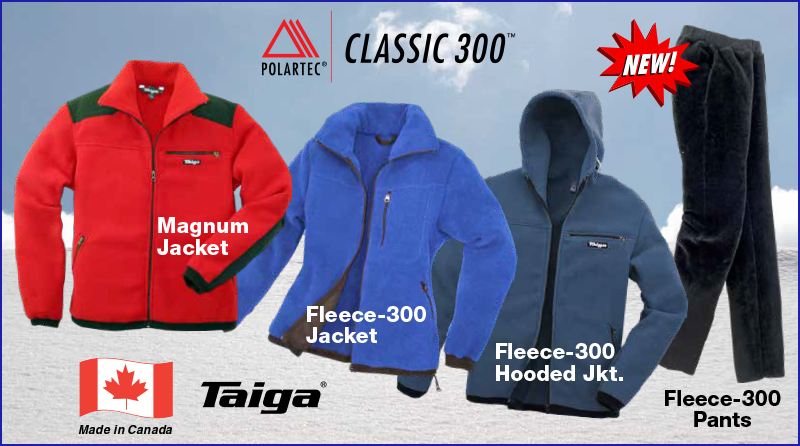 See all Taiga® Polartec® 300 garments here . A lighter version of Polartec ® fleece, this cozy stretch fabric is a great choice for active people who find the 300-weight too warm. 3 zip pockets. Underarm zips. 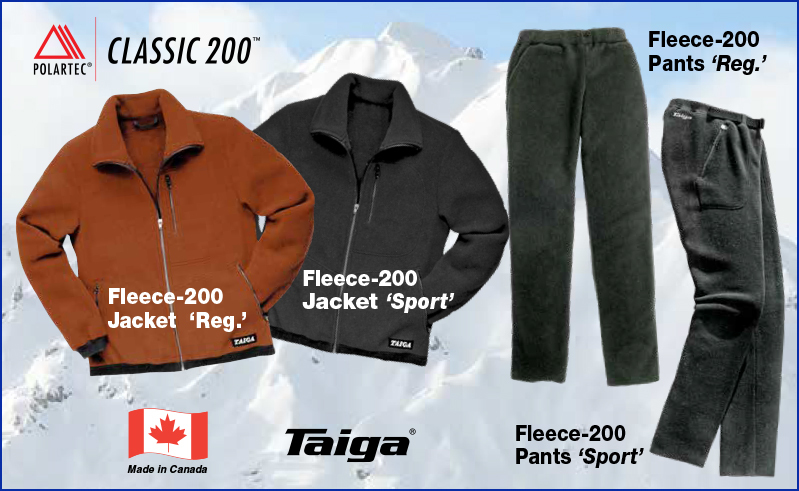 See all Taiga® Polartec® 200 garments here. Made with ultra-fine microfibres, this fleece is incredibly soft and comfortable, with an accommodating high stretchability. 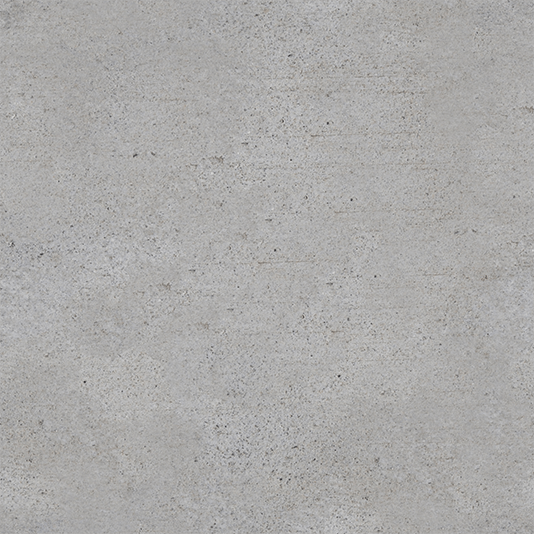 ﻿Ideal as a midlayer for most of the year. Zip pocket & underarms zips. 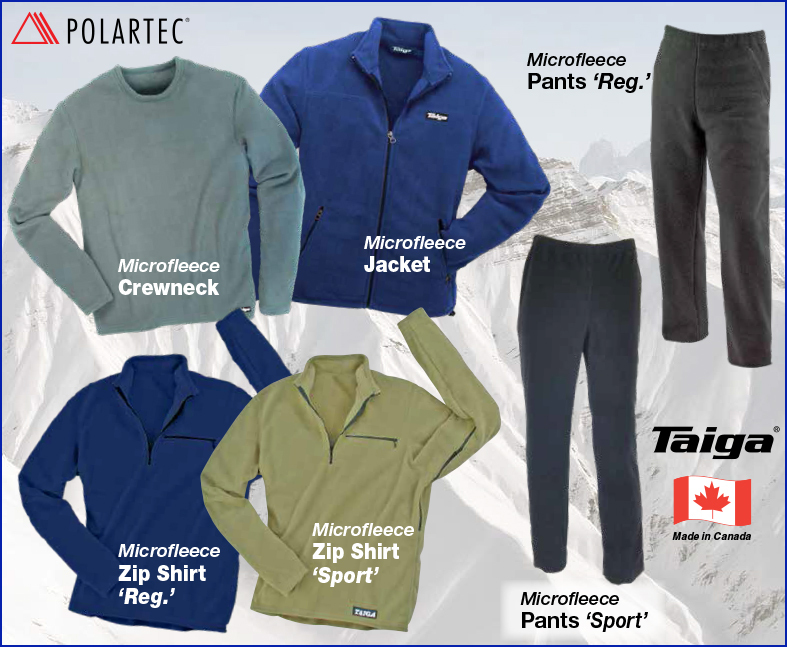 See all Taiga® Polartec® Microfleece garments here . Water-repellent, Snow-shedding and Warm ! * 2-3 inseams per size ! 2-3 inseams per size ! 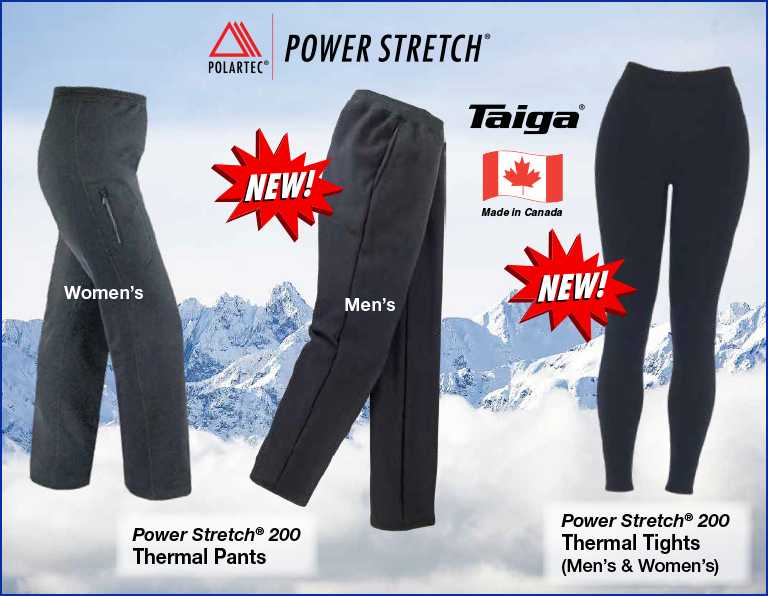 See all Taiga® Power Stretch® garments here.